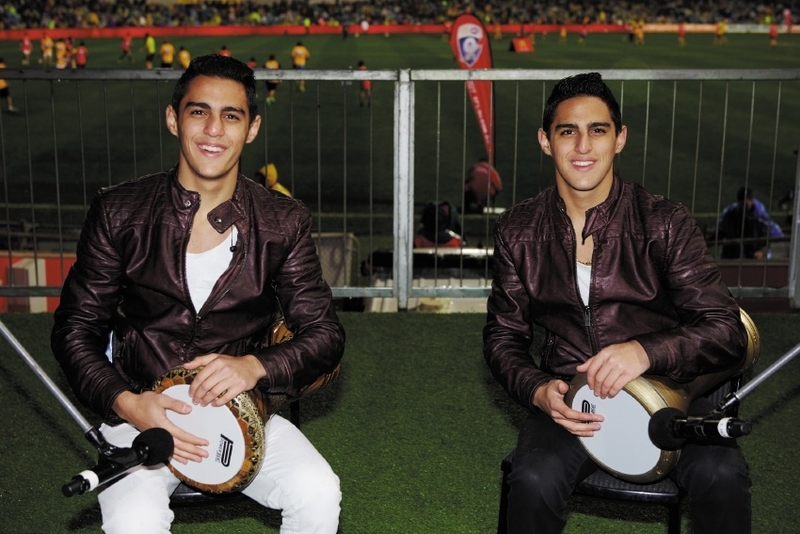 The Subih Brothers performing at Domain Stadium during the AFL multicultural round. Originally from Syria, Year 10 brothers Shaheen and Manuel Subih performed at the AFL multicultural round match between West Coast Eagles and Hawthorn on August 8. �Together with their younger brother who is in Year 6, they are an act called the Subih Brothers,� music teacher Paul Johnson said. �They have amazing voices, especially the youngest, and are multi-talented on guitar, keyboards, drums and percussion. �The music they perform is in an acoustic setting � three vocals with acoustic guitar and percussion, sometimes with the inclusion of keyboard. Mr Johnson said the brothers had shown an interest in music careers, and the trio were auditioning for the TV competition Australia�s Got Talent this year.